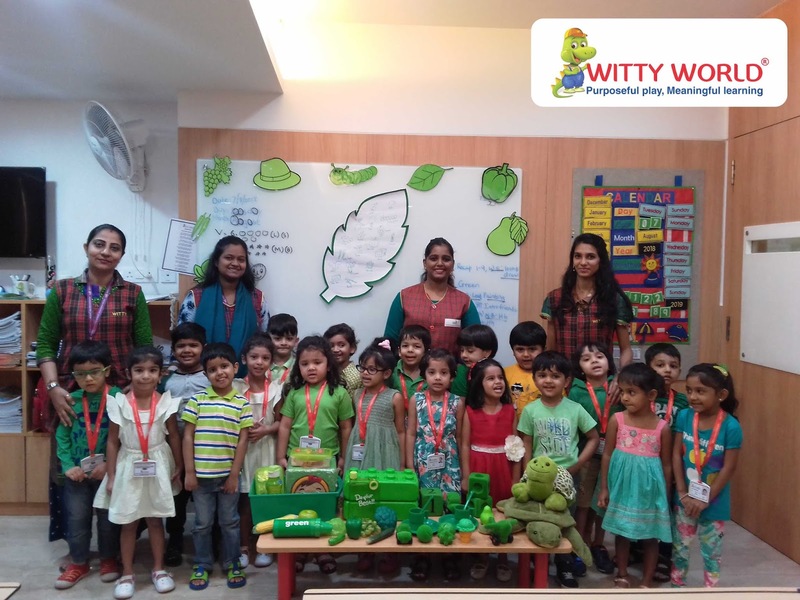 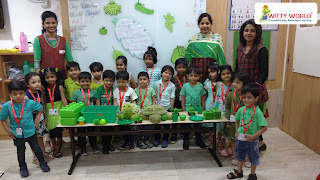 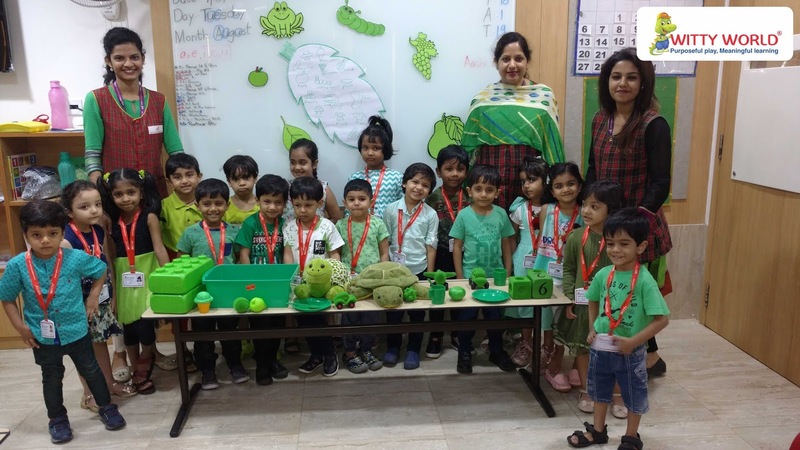 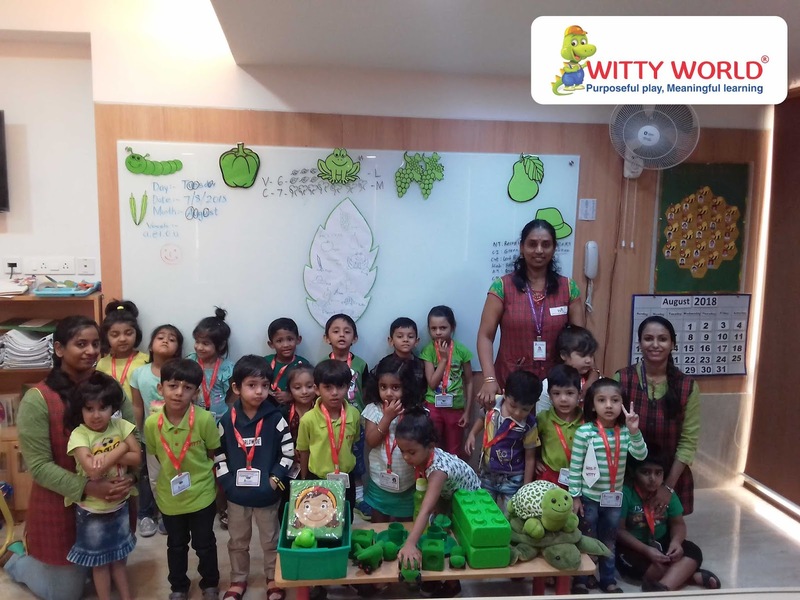 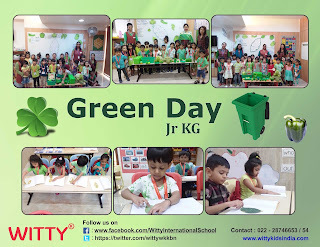 To infuse the love for nature among students and make them realize the need for green and healthy earth, Green Day was celebrated with great zeal and enthusiasm at Witty World, Bangur Nagar for Jr.Kg on 7th August 2018, All the students and teachers came to school dressed in pretty green attires and looked eco- friendly. 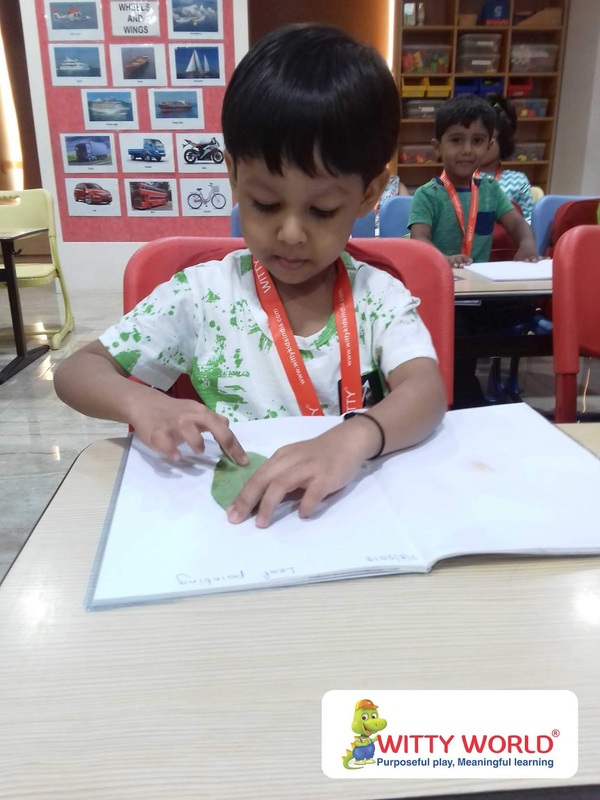 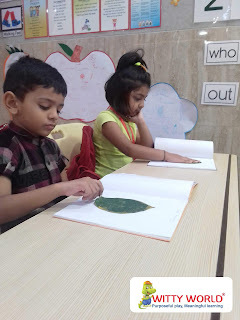 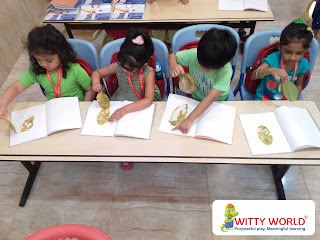 Kids printed the impression of the leaf in their scrape book.Teacher enthralled the children with a story on green color. 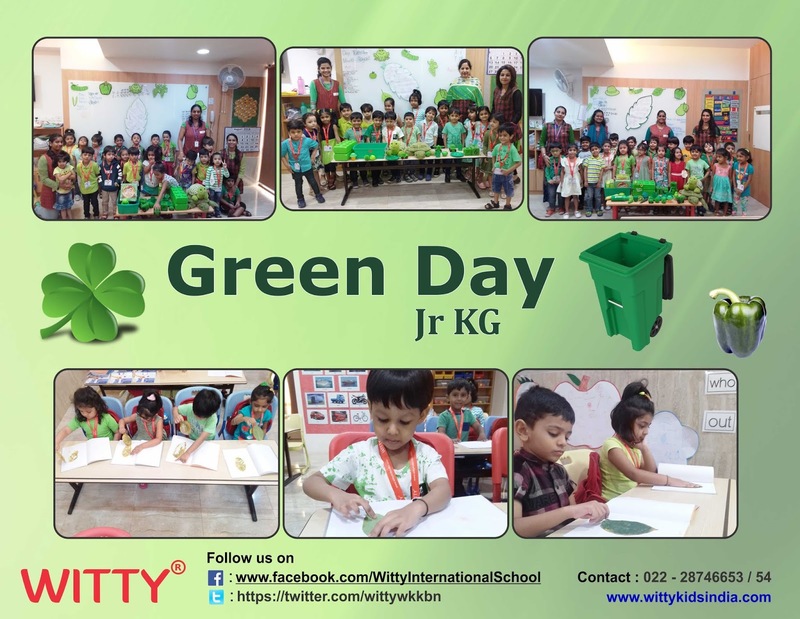 It was an eco-friendly day with innocent faces gleaming and reflecting brightness, joy, love and happiness.